Dark Virginia Sky: JMU's Starry Nights Coming Up! By 2025 true darkness will have disappeared from skies. Is that our legacy? Can we light our campus better? 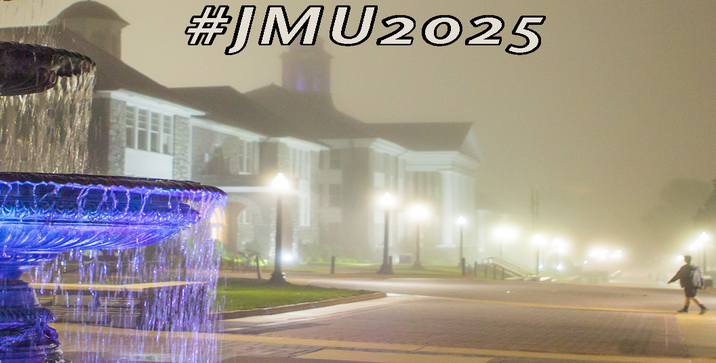 #JMU2025 is an advocacy campaign to eliminate light pollution on JMU's campus spearheaded by students taking ENVT 400, a capstone course in light pollution co-taught by JMU English Professor Dr. Paul Bogard and John C. Wells Planetarium Director Shanil Virani. Our plan will improve campus safety, conserve energy and curb greenhouse gas emissions contributing to climate change, save money, improve the beauty of the nocturnal campus, help JMU achieve its goal of being an engaged neighbor in its surrounding community, and equip JMU to become a national model of how to light a University campus in the 21st century. Students in ENVT 400 are excited to present their semester-long research on light pollution and propose a solution that benefits our entire community. We would like to extend a personal invitation for you to attend our final capstone presentation entitled #JMU2025 on March 31 in Harrison 1261 at 7pm. Edith J. Carrier Arboretum: Partnering with the John C. Wells Planetarium, the Headwaters Chapter of the Virginia Master Naturalists, the Edith J. Carrier Arboretum offer a free dark sky program. Come to enjoy a walk in the woods to explore nature at night. The evening will start at the Frances Plecker Education Center. Parking is limited so please consider carpooling. Public Star Party At JMU's Astronomy Park: public telescope observing on JMU's East Campus. Come see Jupiter, binary stars, and laser guided tour of the Valley sky! Visitors will also get a first-hand look of what light pollution looks like on JMU's campus.